Finally, its here! The release of Ultra Air Hockey DX for PCs! 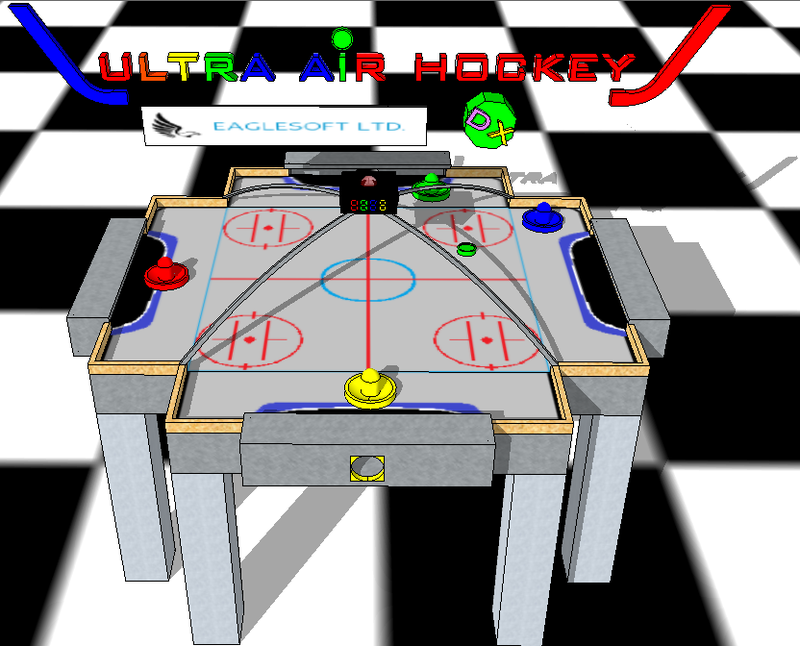 Starting in October 2014, EagleSoft Ltd worked on its first Indie Unity3D video game, Ultra Air Hockey DX, not only for fun and for software engineering experience, but also as a university project for a Fundamentals of Software Engineering class programming project. This project was much more difficult than we first imagined, since we had to self-teach ourselves and to learn quickly a new programming language (C#), a game engine (Unity3D), and fundamentals of software engineering, including creating documentation such as an SRS, a Gantt chart, and a plethora of other documents. Nevertheless, through hard work and persistence, we finally finished programming the game in early January of 2015, and are ready to release it as a purchasable download from the shop section of the website! The game is currently available for Windows 7 (x86/x64), Mac OS X (x86/x64/universal), and Linux 10.04 (x86/x64/universal). A demo of the game for all of the previous OS and bit combinations is also available (the demo only has Air Hockey mode available) on the UAHDX Page and at the shop (for free). Everything is finished with the game (all powerups, all 3 modes, and all game assets), except for online multiplayer. We plan on implementing this complex feature, as well as any other bug fixes, post-mortem as a update patch. Below is an advertisement for the game, showing off all of the gameplay features. We hope you enjoy the game as much as we had in creating it! UAHDX v1.1 and Android ports in progress!